The wait is finally over. Artistic Outpost is pleased to bring to you four brand new rubber stamp collections that are vintage, edgy, and extremely artful. 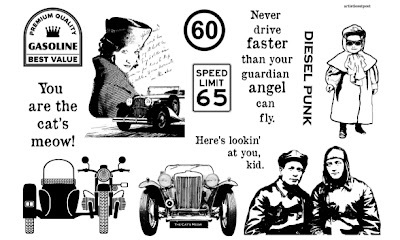 We are happy to present: Diesel Punk, Charles & Amelia, Industrial Chic, and London Elements. What is Diesel Punk? What happened to Steampunk? We still very much love the Victorian magic that is the rage of Steampunk, however, we decided to advance the timeline and the trend to a more modern look. It’s like Steampunk but with a combustion engine. 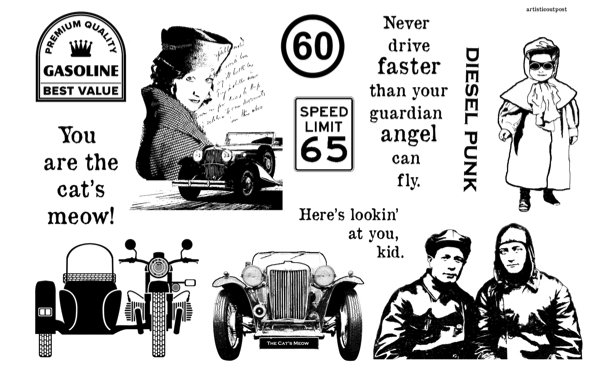 To us, Diesel Punk is a style that blends the “edge” of Steampunk with the art and culture of the 1920s, 30s, and 40s. We think of motorcycles, roadsters, red lipstick, trench coats, jet packs, and jet engines. Three of our new releases evoke our interpretation of this style. Includes images of good looking guys, a beautiful dame, a kid ready to be a rocketeer, and fast machines to tempt their fates. 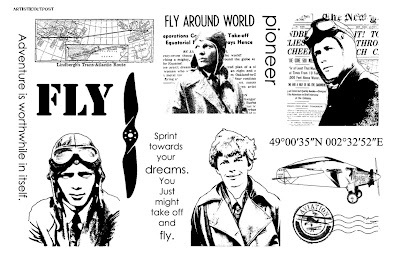 Images featuring the king and queen of the skies when flying was more than transportation – it was an adventure. 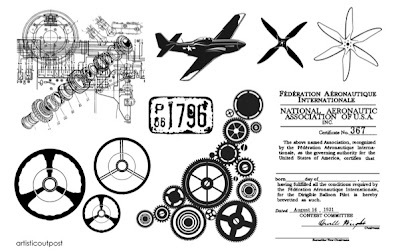 Backgrounds for any of your projects – steam, diesel, or any other kind of punk. More of our favorite images featuring the fun icons of London. Gorgeous Anita! You've captured the spirit of th new images perfectly! Beautiful cards! 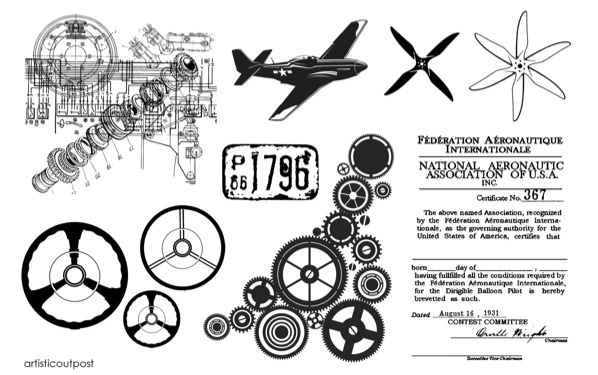 Brilliant design with the license plates and images from the diesel punk. 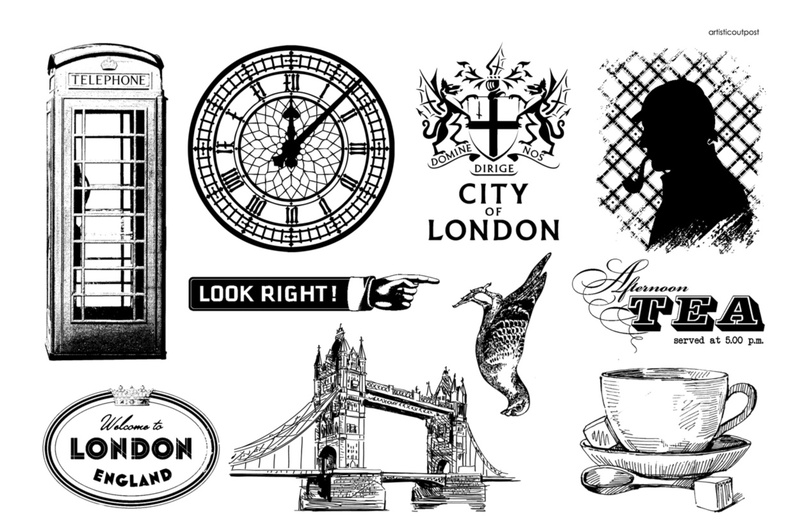 Lovely collage of the London elements! love these cards! I want two of each. Wow, great new release cards. Lovin' how you put your images together! These are stunning Anita and those stamps are ACE!! Great new creations for a great new release! Loving this! Great showcasing of the new images, Anita. I'm a sucker for hands and arrows so "Look Right!" is calling my name. I really like your positioning of that partial car, too. Happy stamping! Fab use of the new plates! 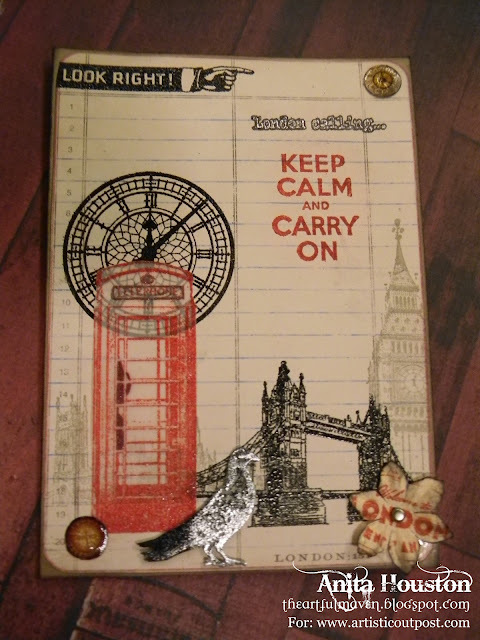 Wonderful London Collage - LOVE that diesel punk! Fabulous projects, Anita! You've totally rocked these new sheets!! Super work, Anita! 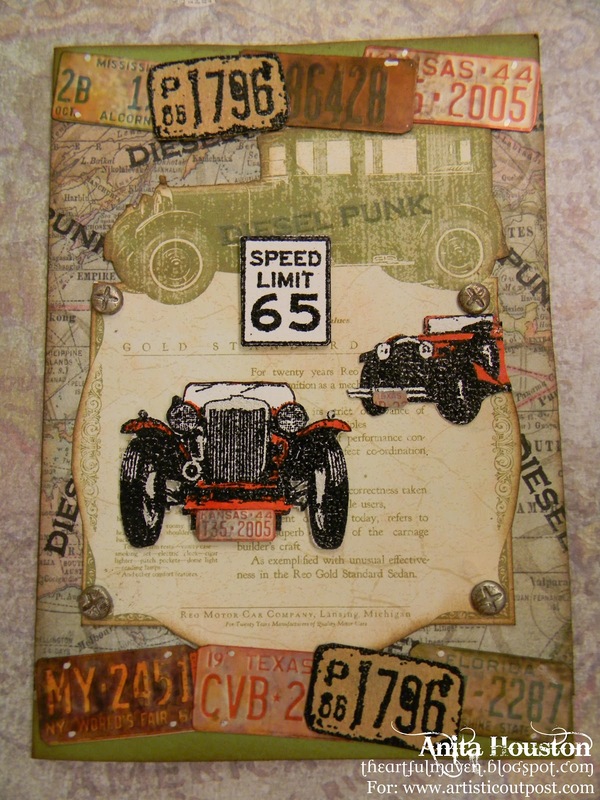 Love how you used the car image, the license plates, the map - everything look sensational together. Terrific job with the London images too - I especially like that silver pigeon.